Kathrin Zechner was born on May 17th, 1963 in Graz. After her studies in law she also successfully completed a joint degree in theatre studies and political science. Following jobs at IAEA, UNIDO and KSZE in Vienna during her studies, she started work as a freelance employee at the ORF (Austrian Broadcasting Corporation) in the entertainment, production and editorial departments in 1986. In 1991 she became Head of Entertainment at the private TV broadcaster TELE 5 in Munich. 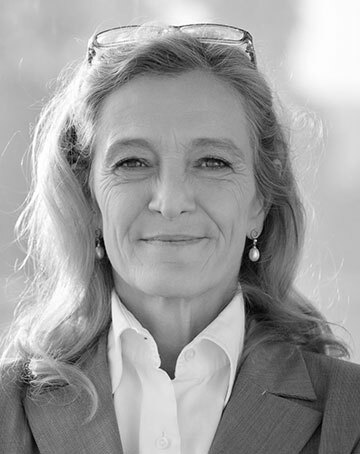 The following year Kathrin Zechner took on responsibility for setting up the GmbH subsidiary of the Dutch TV production company John de Mol Produkties Hilversum in Cologne as Managing Director. In January 1994 she started working as Programme Manager for the company ENDEMOL in the area of entertainment productions. In October of the same year, Kathrin Zechner returned to the ORF as Programme Director – from January 1995 to February 2002. In 2003 she independently developed theatre, film and television concepts for companies in Vienna and for the television production company UFA Film und TV Produktion in Berlin. In January 2004 Kathrin Zechner was appointed Director of the Raimund Theater and Ronacher within the VEREINIGTE BÜHNEN WIEN. During this period she developed and staged various successes such as “Rebecca”, “The Infernal Comedy” with acclaimed actor John Malkovich, “Romeo and Juliet” and lastingly influenced the German-speaking musical scene. Since 2012 Kathrin Zechner is the Head of Television of ORF. She manages both the News and Entertainment section of the Austrian Broadcasting corporation, the ORF. Focussing on the successful enlargement of the news and documentary programs (eg ZiB Magazine, “Wahlfahrt” – an election-covering format for younger target groups) and genuine Austrian fiction (eg. “Braunschlag”, “Vorstadtweiber”, strong female storytelling) while acting as a mentor for gender equality are just a few of her strategic, future-oriented strongpoints.